Cats love a bit of platforming. Whether it’s climbing a tree, jumping on the couch, over rooftops, or climbing up your leg at dinner time, they are always up for a challenge. Now imagine the platforming possibilities when a monkey steals your cat’s favourite gem, and you have to go through 7 worlds to get it back. This is all the story you need really. There’s a monkey that makes monkey sounds and the bosses occasionally grunt and moan. Presentation-wise this game delivers the bare minimum in terms of story, sound and graphics. It looks super bland and the music is not very creative, bordering on irritating. The sound effects and graphics are pretty much all stock assets without much variety outside beeps and scratches. At its core though lies some pretty good platforming and decent controls. What’s so magic about this cat then? You have a basic jump, hover and dash ability and can also shoot projectiles. I suppose that qualifies as magic, but I have a hunch this is just a regular cat wearing a hat. 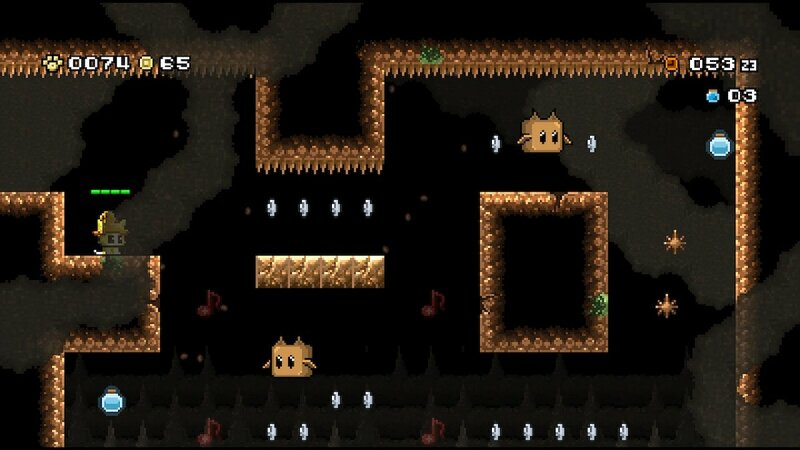 The levels involve navigating hazards, getting through enemies and a bit of puzzle solving too. There’s actually quite a bit of variety, with transformations and different mechanics introduced in random single levels in each world. They put a lot of ideas into this game, sometimes for better and sometimes for worse. Stages like 3-2 are where the game falls apart. There’s apparently wind here illustrated by pixelated dots rising upwards but they are so difficult to see. Yet, waiting for the gap in the wind is a key gameplay mechanic that you absolutely need to nail or you’re going to die. I almost quit the game right here it was so painful to play with this mechanic occurring in so many rooms. It felt like luck if I found the gap or not. After beating it though, the level after this turned out to be a refreshing level with normal fun gameplay. The difficulty of MagiCat is like a cat’s affection for its owner, inconsistent. It can be indifferent to you one minute then suddenly aggressively asking for pats. This game has a lot of highs and lows in quick succession. It’s full of design decisions that will make you ask “why?” and then one of the game developers steps in and answers “why not?” and winks at you, as they stubbornly put every bad idea they’ve ever had into the game. Ice physics, water, switches, block pushing, gravity effects. Any generic switch you can flip in a game maker program has been toggled here. 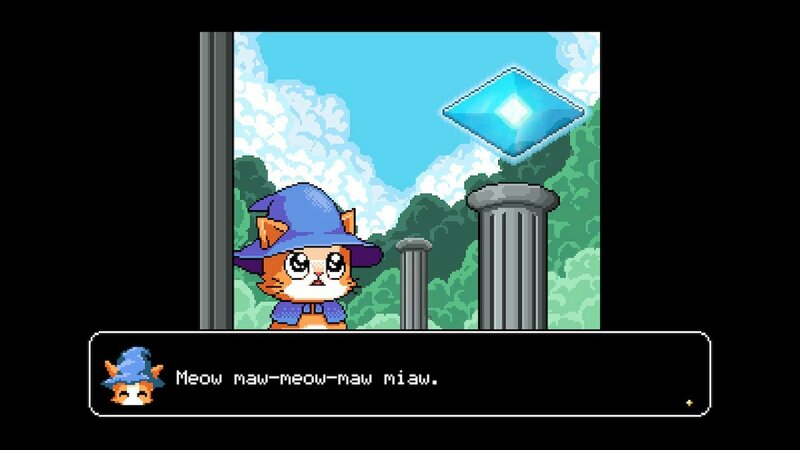 It’s clever one minute and frustrating the next, but that’s also part of the charm of a cheap game called MagiCat. Indie games can go in blunt design dead-ends where Mario games can’t really afford to go, and consequently have a lot of gameplay ideas that Miyamoto would have thrown out the window. This is why MagiCat will never sell a million copies but that’s fine, cats like to be alone. This boss fight is a frustrating mess of lasers even before this part. Hitting that switch makes you go into auto-run mode and you have to somehow get on the bosses head by hopping on the lasers. The timing window to do this is only a couple of frames and there’s more ways it can go wrong than right. There’s also a bit of input lag in this mechanic. I ended up giving up and just jumping normally on the laser and hovering to get the timing right, getting 4 easy jumps on it that way. It wasn’t rewarding in the slightest. At first I thought having a boss at the end of every single level would be fun, but they get so convoluted and awful that it just becomes projectile spam later in the game. I got tired of the boss fights real quick. Some of them have good ideas but then they ruin it with smaller enemies flooding the screen for endless knockback damage. Overall I am still glad I played MagiCat as it gave me a larger appreciation for other platforming games that don’t devolve into design hell. I did have a bit of fun with it, as the core controls are good, and it has some good levels sprinkled in with the bad. The cat jumps and dashes fairly reliably and the gameplay engine is quite smooth and well-programmed. It’s just very basic platforming and combat that works well. I do feel like inconsistent design can ruin a game though, regardless of the things it does right. If you’re just looking for a platforming challenge it provides quite a bit of it, with 63 levels and a New Game+ and Time Attack mode. The music, story, and graphics are all below average but the controls and gameplay are the most important thing and I found them stimulating enough to beat the game and actually feel good about it. 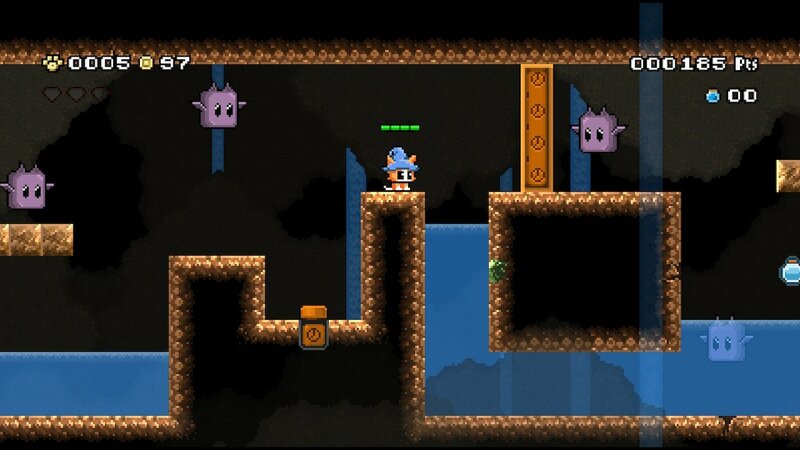 You need quite a bit of patience just to figure out some of the obscure puzzles and enemy patterns in this game. It’s a cheap game and you pretty much get what you pay for. Whether it’s worth your time is the more important question. There are equally cheap games that are amazing, but this isn’t one of them. If anything I would say those games are undervalued while this is appropriately priced (at around $5 US). If you know what you’re getting in to then you can be a good MagiCat owner. This entry was posted in Uncategorized and tagged MagiCat, Nintendo Switch. Bookmark the permalink.